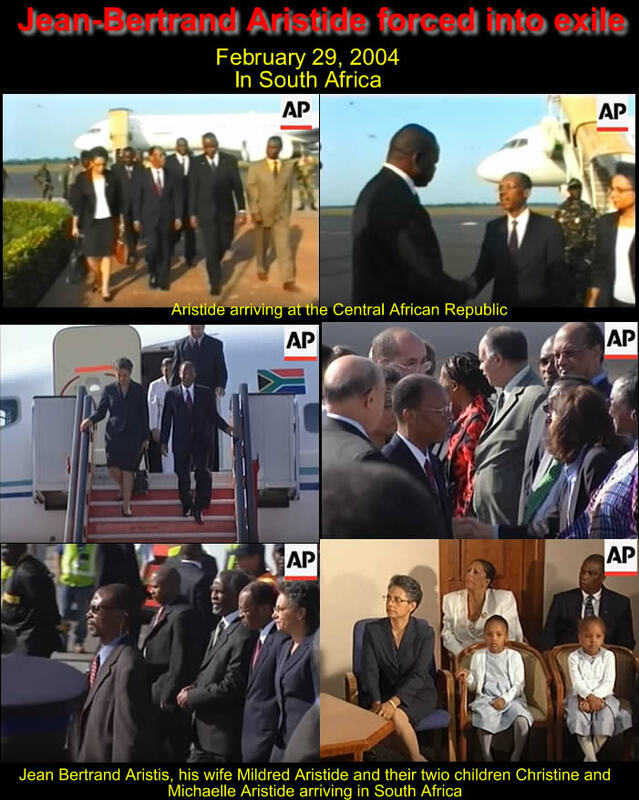 Here is a picture of Jean Bertrand Aristide, Mildred, Christine and Michaelle Aristide arriving in South Africa. 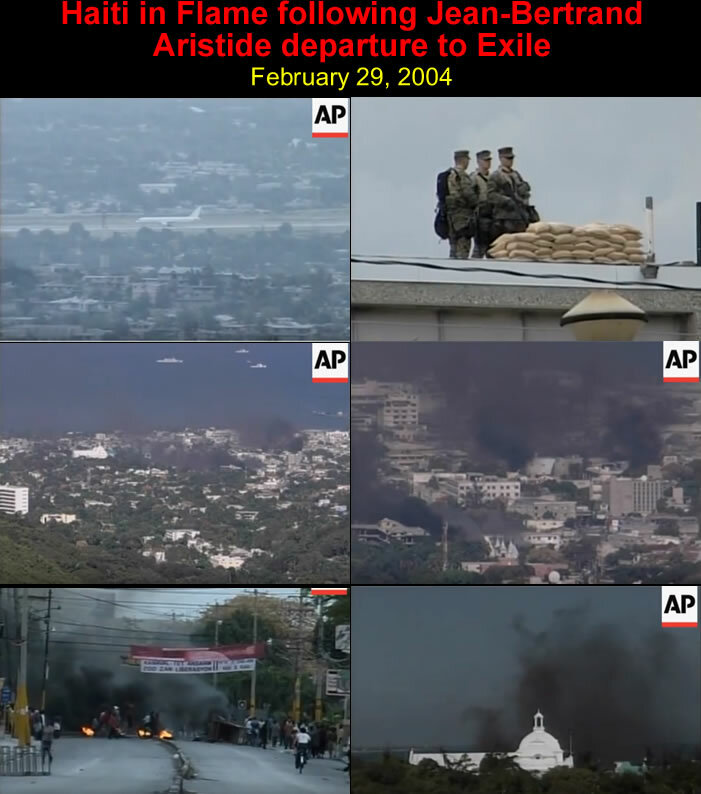 When Haiti's beleaguered President Jean-Bertrand Aristide resigned following a coup d'état, and fled into exile for a second time on Sunday, 29 February 2004, he left the impoverished nation in a chaos. The former Catholic priest was once hailed by the masses as their savior. 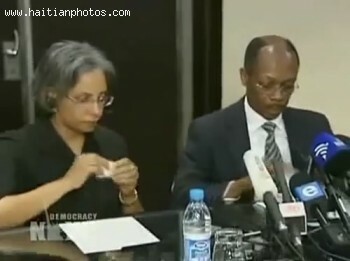 Aristide later accused the U.S as one of the accomplices for orchestrating the coup d'état against him with support from Jamaican Prime Minister P. J. Patterson and countries like France, Canada and some others. 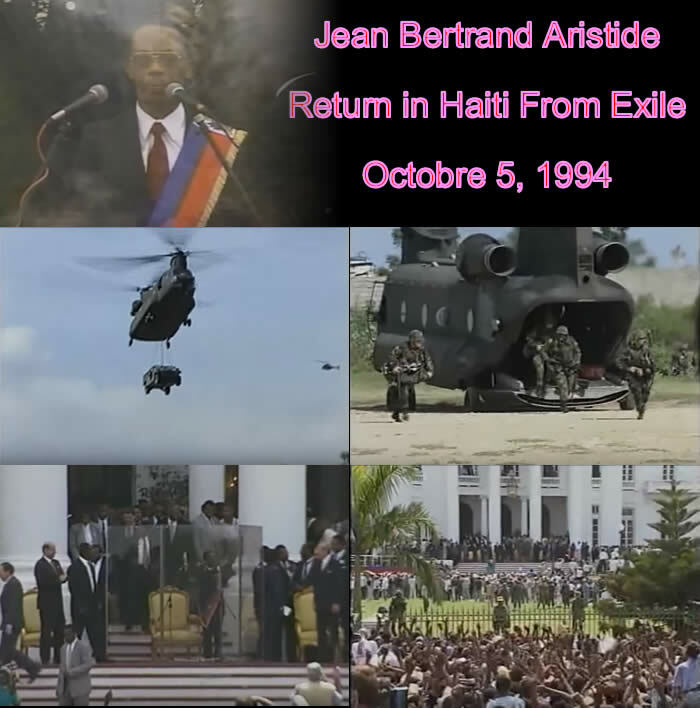 Aristide's enforced departure created a vacuum. Hundreds of gunmen, most of whom were his supporters, and other rebel leaders, outlaws, poured on to the streets of the capital. About 100 U.S. Marines arrived on the night of departure and Canada, France and several Caribbean nations also agreed to send troops to restore law and order in the country. 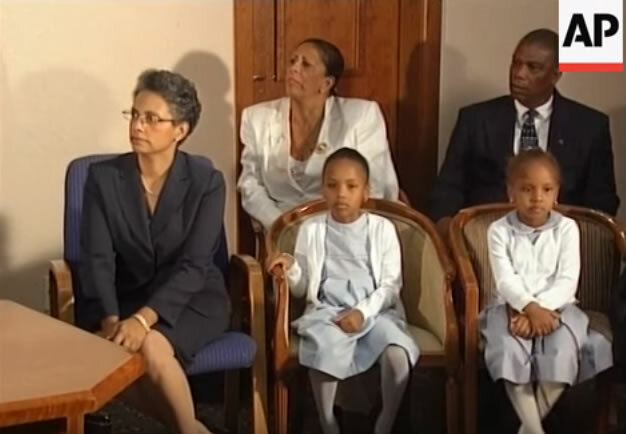 The outstation of President Jean-Bertrand Aristide in February 2004 left a large number of 9 mm weapons, 38's, American-style machine guns, M-14's and hand grenades in the hands of his supporters and other hooligans. As a consequence of this, regular exchange of ammunition among the gangs and with the UN peacekeeping force was a routine matter. Here is a picture of Patrick Elie, former Secretary of State for Public Security. Patrick Elie, a longtime pro-democracy activist and Haiti's former Secretary of State for Public Security passed away at the age of 66, in the morning of Friday, February 12, 2016, in a private hospital in Port-au-Prince. He fractured his femur bone after a fall and was suffering from a stomach ulcer. He died of internal bleeding. 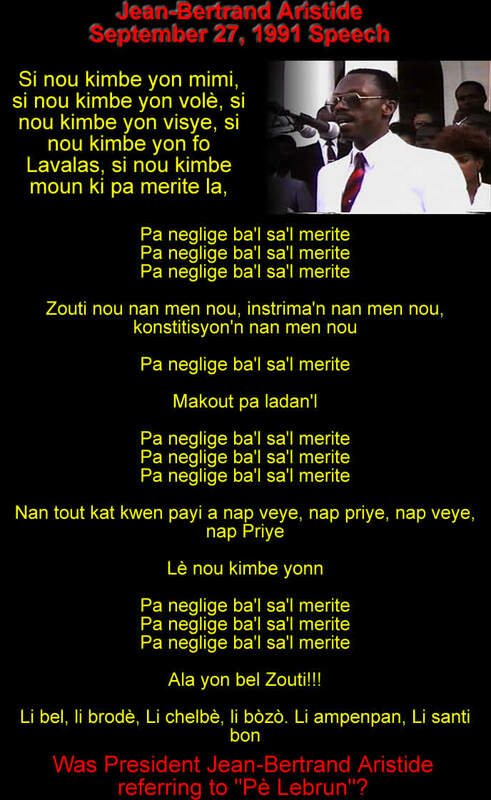 He delivered his last public speech on February 5, 2016; it was about the march of the disbanded army on the streets of Port-au-Prince. 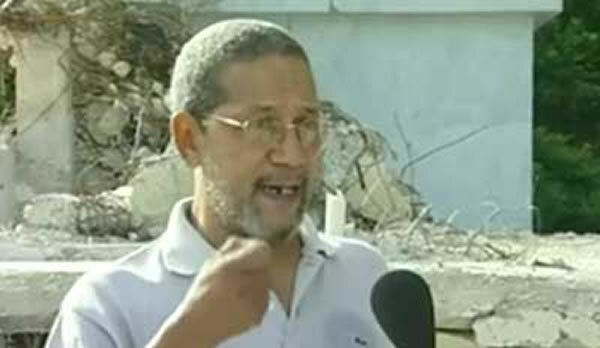 Patrick Elie had been in Haiti as a political activist since 1986, when people's popular movement drove former dictator Jean-Claude Duvalier from the country.  He took part in movements with Rene Preval, Jean-Bertrand Aristide and Antoine Izmery. 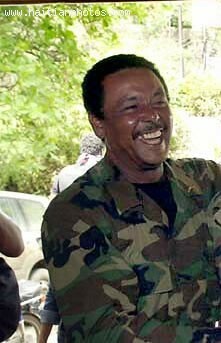 He was a companion of many other pro-democracy activists who fought against the military governments that assumed power after Duvalier was ousted.